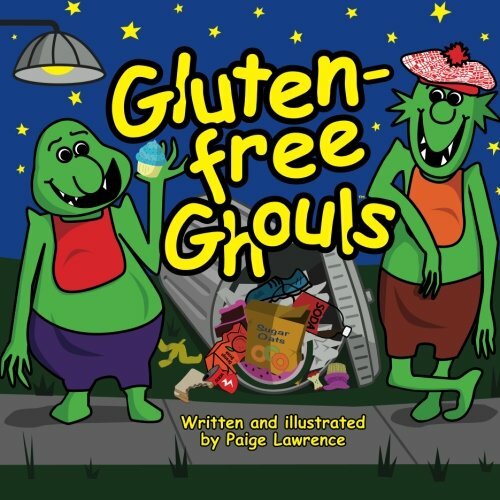 First-time Connecticut author, Paige Lawrence, self-published a children’s book called Gluten-Free Ghouls that is now available on Amazon.com. The inspiration for her book came from when she developed an intolerance to gluten as an adult. 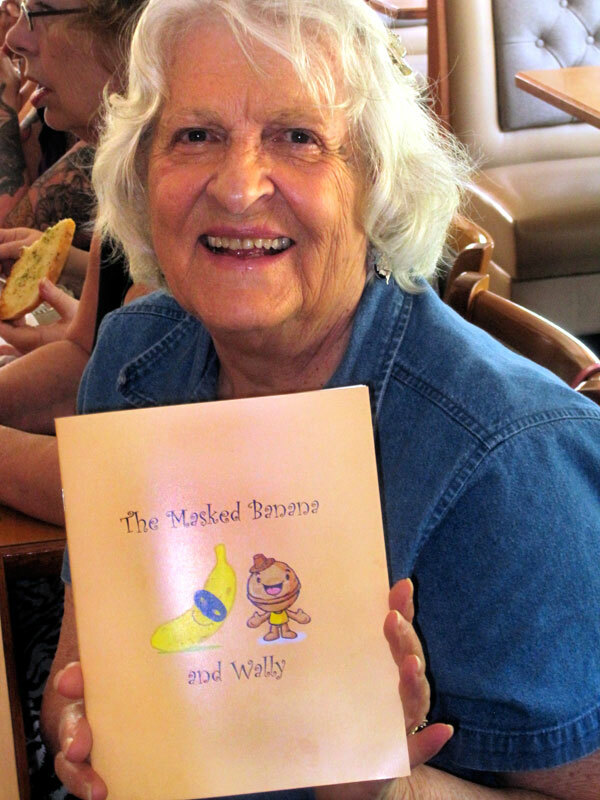 It was – and still is – very difficult for her to maintain a gluten-free lifestyle and she thought that it must be difficult being a child with celiac disease or a gluten sensitivity, so her goal was to build awareness with her book. Gluten-Free Ghouls is about six hungry green ghouls who dive into dumpsters and tip over trash cans in search of their favorite junk-food treats only to discover that their not-so-healthy eating habits can create some frustrating and itchy symptoms. Their only solution is to eat a gluten-free diet. Gluten-Free Ghouls is a light-hearted book that’s perfect for children with celiac disease and non-celiac gluten sensitivities, but also great for children of all ages regardless of whether they have a gluten intolerance or not. The colorful illustrations, fun ghoul characters and a message that focuses on good health and nutrition makes this book fun, as well as, educational. 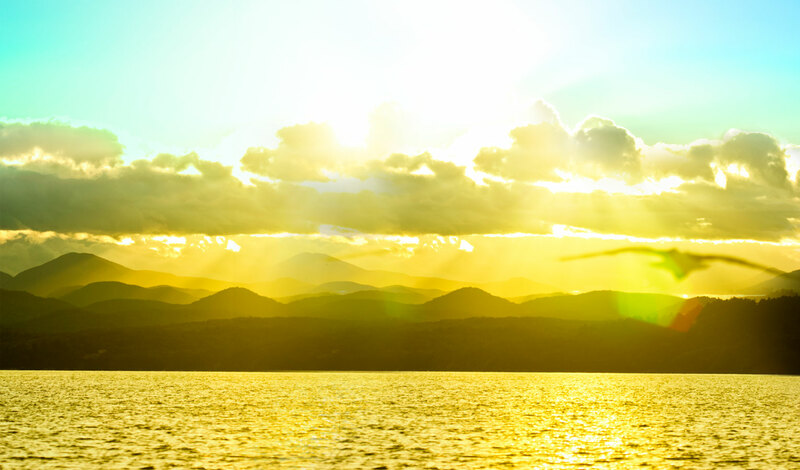 Paige self-published her book on CreateSpace.com and her experience was a positive one. Self-publishing was the best route for her because she has worked over twenty years as a graphic designer and illustrator, so she was able to create most of the book herself. When she did need help, she would just call member services at CreateSpace.com and her questions were answered by the very helpful team members. One service that Paige used was editing. It is a paid service, but the feedback was excellent, and she will happily use them again. When asked what she would do differently next time, the answer was that she’d pursue the self-publishing route again, but with no fear. While the process does take work and dedication, if you have the desire to self-publish your book there is no easier way than through CreateSpace.com. They can help you with any part of the process of creating a book that you need. Now that Gluten-Free Ghouls is available on Amazon.com, Paige knows that anything is possible if you just believe! Paige would be a great guest speaker. She can be reached at Paige@glutenfreeghouls.com. For more information, please visit glutenfreeghouls.com and follow “Gluten-Free Ghouls” on Twitter and Facebook. 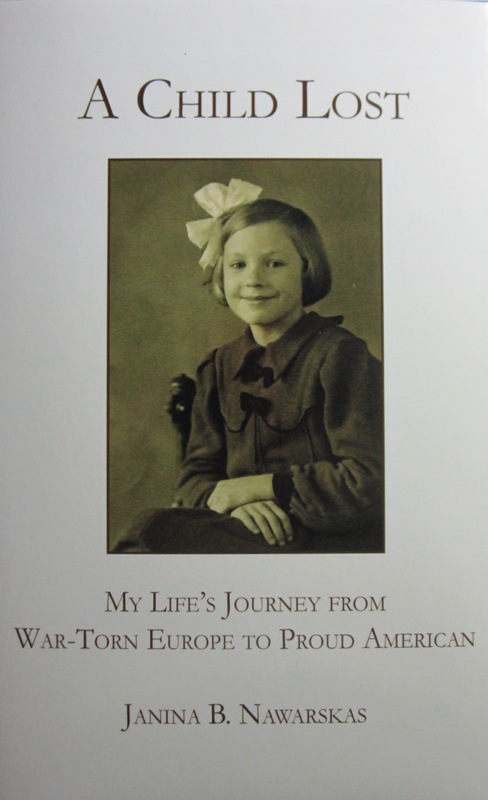 Janina has self-published her memoir, A Child Lost: My Life’s Journey from War Torn Europe to Proud American. 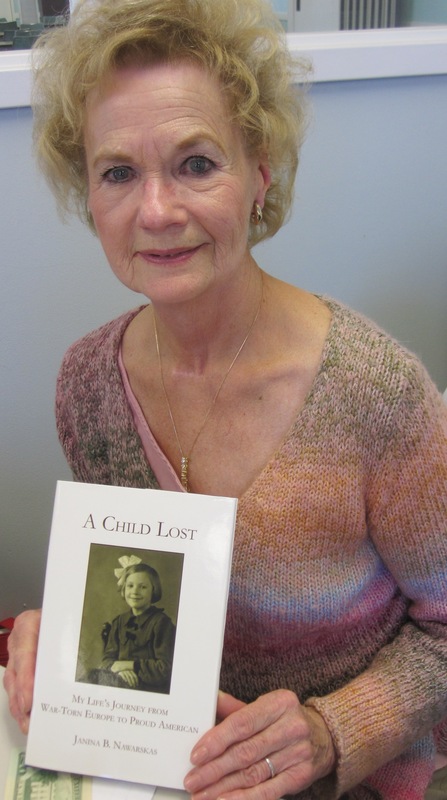 It is an inspiring story of how Janina, born in 1936 in Lithuania, had her comfortable life with her parents and brothers shattered by World War II, leaving her an orphan child attempting to survive in the hellish ruins of war torn Europe. Janina was a student in Susan Omilian’s From Memory to Memoir: Writing Your Life Story classes over the period of several years. She has written an inspiring story of her courageous journey to survive not only World War II and be reunited with her family, but also other struggles and trials while living in the United States after the war. For more information about Janina’s book or to obtain a copy, email cdangelo8@cs.com. Click here for more about Janina’s journey. 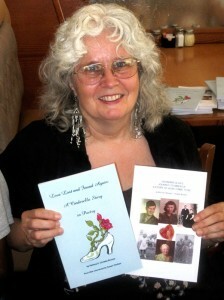 Patricia Christie-Brooks has self-published Grandma Olga’s Journey to America: A Story of How I Came to Be. It pays homage to her ancestors who arrived at America’s doorstep between 1836 and 1903 from Germany, England and Finland. Earlier this spring, Pat self-published a book of poetry, Love Lost and Found Again: A Cinderella Story in Poetry. She is working on her third book, The Inside Story: A White Girl Growing up in a Black World. 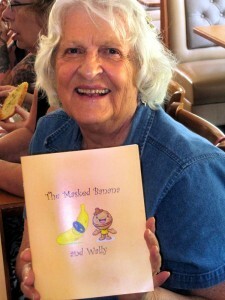 Pat has been a student since 2007 in Susan Omilian’s From Memory to Memoir: Writing Your Life Story class at the Town of Manchester (CT) Senior Center. 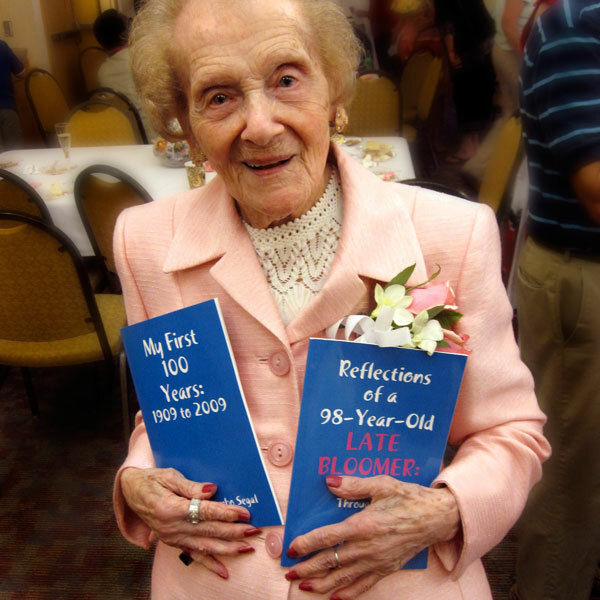 At 104 years old, Frances Segal has self-published three books of personal essays and poems including two that Susan Omilian, her writing teacher, helped her publish on-line, Reflection of a 98-Year-Old Late Bloomer: My Journey Through Life and My First 100 Years: 1909 to 2009. Her third book, My Family: Then & Now, was produced with the help of her friends, Martie Adams and Mary Wynn and printed by a local printer. 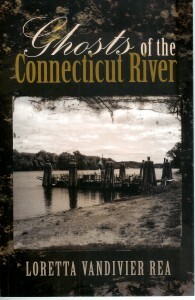 Loretta (we know her as Lori) Vandivier Rea has published her book, Ghosts of the Connectic ut River through Trafford Publishing. It’s a great collection of stories of strange happenings on the river! 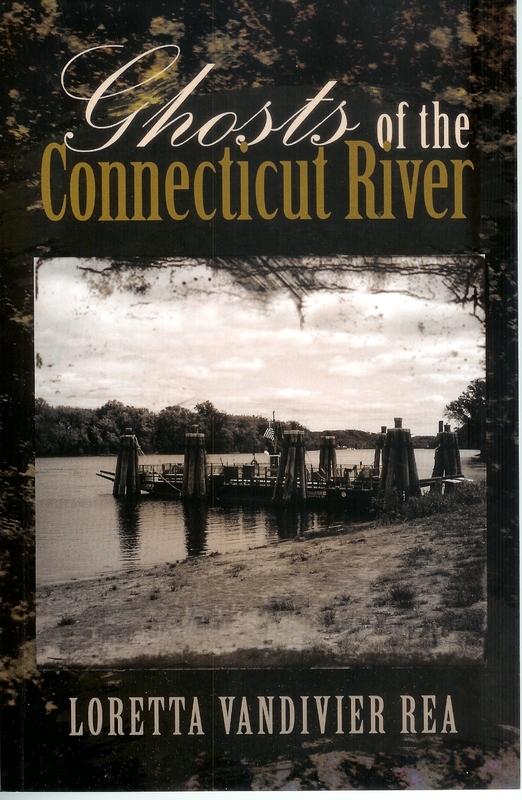 Lori’s 10 year old grandson took the photograph of the Rocky Hill/Glastonbury ferry landing that was chosen for the cover.